Effortless and naturally sophisticated, the Marie Rose business card template is fashioned with 30pt textured cardstock, which adds an extra layer of elegance to this minimal design. 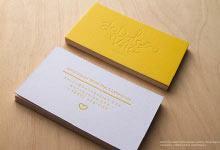 The die cut corners have created rounded edges, with letter pressing applied to the front and the back. 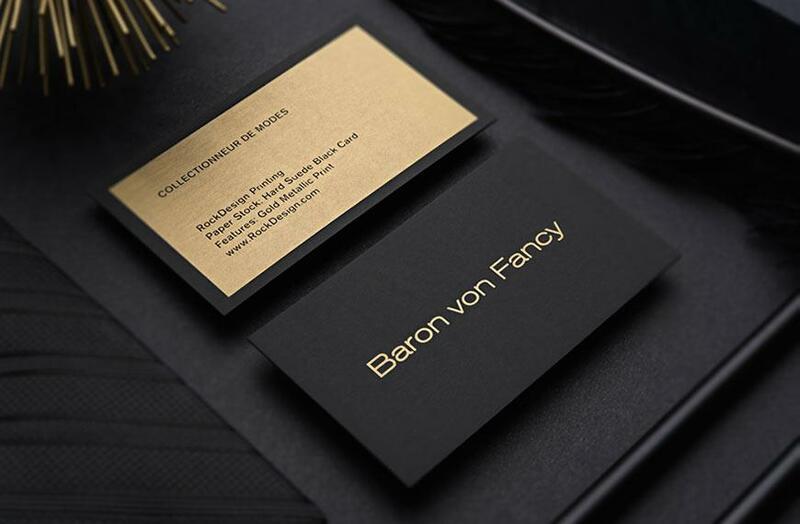 Gold metallic ink can also be identified on the front and back of the card, emphasizing the fashionable and artistic design with decorative fonts. The pulp-like quality of the materials is reminiscent of paper, giving a crafty vibe that effortlessly maintains a professional feel, and makes it the perfect card to accompany any crafts or artistic-focused business. 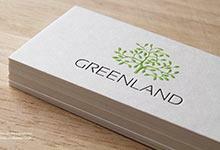 Charming and dignified, the layout of this template is sure to be appreciated for the minimalist-inspired design that effectively uses a small amount of techniques to make a big impact. What this card does utilize, it utilizes well. Recipients will be sure to associate this beautiful design with the type of gorgeous crafts produced by your business.